Historically, young people have consistently been involved in political conflict. This has been especially apparent in recent years with the uprisings in the Middle East. It is important to understand how young people function in these challenging circumstances. Research is increasing on this important topic, but it has not yet adequately captured the complexities of conflict and youth functioning, such that we don’t yet have a clear grasp on how young people are impacted by their experiences with political conflict. How can we move toward a clearer understanding of the impact of political conflict on young lives, and can this equip us to offer more useful insights for practitioners who work with conflict-involved young people? Political conflict erupted in the Middle East in late 2010. It began in Tunisia and then spread throughout the region in 2011 via Egypt, Bahrain, Yemen, Libya and Syria. This spate of unrest is but the most recent sobering reminder of just how often and how durably societies confront violent conflict. These fresh instances of conflict also bring to the fore the awareness of how integrally young people are involved in political conflict. As for recent history, the Arab uprisings are most reminiscent of the wave of youth-generated political unrest that swept the former Soviet bloc in the 1990s (e.g. East Germany, Georgia, Lithuania, Kyrgyzstan, and Serbia; see Collin, 2007). How does exposure to or involvement in war and other forms of political conflict impact young people? The first answer must be that it tragically kills and maims many. But what of those young people – indeed, the large majority – who escape fatal or crippling consequences? How have their experiences impacted their functioning and development? This is a crucial question for psychologists and other social scientists to answer, not only to improve theoretical understanding of youth functioning in the face of adversity, but to also offer valid insight to those who write policy and design and conduct programs on behalf of youth well-being. (3) and conducting longer-term assessments. The need for enhanced research into this important topic is illustrated by a fundamental paradox within the relevant literatures: namely, that despite expectations of widespread negative impact of war on young people, reviewers of the literatures concur that majorities of young people are not actually severely impacted by their experiences with political conflict (see Barber, 2013, and Barber & Doty, in press, for elaborations of this issue). This dissonance might be explained by inadequate measurement of the real risks of political conflict and/or of the salient aspects of youth functioning that might be impacted by them. Alternatively, it is possible that the expectations of disability in the face of this type of adversity are unwarranted or exaggerated. Regardless, better research is required to more precisely understand which youth who experience political conflict are at risk for substantial challenges to their onward development. So how do we go about elaborating models of political conflict and youth functioning? The first set of recommendations for enhanced research deals with how political conflict itself is understood and measured. Despite the vast complexity of political conflict, empirical research is still driven by simplistic models that focus primarily on exposure to violence and its stress-related correlates. Such models, grounded in trauma or psychopathology frameworks, ignore essential factors that would make results more adequate and useful in explaining how young people face and adapt to political conflict. When assessing political conflict, researchers typically index the amount of exposure young people report. Often, investigators selectively focus on exposure to violence or otherwise simplify the assessment by aggregating across a variety of elements of conflict that the indexes include (often because small sample sizes don’t permit analyses of specific types of exposure). In either case, such assessments of conflict exposure are very inadequate in assessing the breadth of political conflict that youth face: political conflict is far more complex than simple exposure to risky moments and violent events. There are at least four main ways in which research could improve on the measurement of political conflict, to which I now turn. Even if the concern is violence per se (a questionable focus given that there is not strong theoretical or empirical evidence that political violence exposure reliably leads to enacting violence or antisocial behaviour; e.g. Punamäki, 2009), exposure to violence is itself multifaceted and therefore warrants specification. This includes, among others: witnessing vs. personally experiencing violence; the proximity, severity, frequency or duration of violence exposure; perceived intent or threat of violence (e.g. deterrence, destruction, humiliation, intimidation); and the personal consequences of violence (e.g. injury or loss of life to self and/or significant others) (See Catani et al., 2010, and Layne et al., 2010, for recent exemplars). Beyond violence exposure, political conflict generates other conditions that pose risk to development. Such conditions include features of the social ecology like displacement, access to basic resources, destruction of social networks, among many factors that threaten safety and security (Catani et al., 2010; Miller & Rasmussen, 2010; Steel et al., 2009). The relatively few studies that have discriminated between types of conflict conditions suggest that disruptions in access to resources in the social domain (e.g. loss of life, separation, loss of social support) and economic domain (e.g. economic self-sufficiency, ability to buy staples, breakdown of basic services, access to health care) are significantly related to greater difficulty among youth and adults, and often more so than exposure to violence. Chronicling the degree of violence experienced, as is classically done, does not illuminate the breadth or severity of such burdens or the degree to which the conflict has ameliorated or exacerbated them. One particularly useful theory in addressing this deficiency would be Hobfoll’s (2001) conservation of resources theory. The theory treats many of these variables as resources and argues that the impact of conflict would be found in the conflict-related patterns of loss and gain of such basic economic, social and political resources. Conventional models that begin the assessment of the impact of political conflict by focusing on exposure (whether violent or otherwise) also ignore substantial cognitive resources that youths possess when they face political conflict. Young people are not empty vessels that are merely exposed to or injured by adversity. One example of a fundamental resource that young people possess is their identity. Although all models of identity contain a personal component, many also comprise an individual’s integration into, and commitment to, various contexts. Indeed, psychology is crowded with a host of different renditions of this nexus, including streams of research into identity that are explicitly defined as: social, cultural, ethnic, group, national, political, narrative and collective. There is substantial literature in all of these streams, and while scholars within each strand argue for needed internal clarification and expansion, as a set they recommend that a young person’s identity encompasses the well-being of the collective. Recent work by Swann, Gómez and colleagues reviews some of those literatures and also advances a treatment of identity that is particularly relevant to youth and political conflict (e.g. Gómez et al., 2011). This work provides evidence for substantial synergistic overlap between personal and collective identity, whereby the person feels deeply connected to a collective (e.g. nation or ethnic group) and the person and the group are reciprocally enhanced (i.e. what is good for one is viewed as good for the other). This orientation fits well for many cohorts of youth who find themselves amidst political conflict because conflict typically surrounds attempted alteration to a group’s status or standing (or to defend the status quo against such contests); hence, it is the welfare of the group that is at issue. Young people also intentionally engage their contexts cognitively, particularly in situations of political conflict. This is so because, by definition, political conflict is about attempting to alter the political, economic or cultural structures that govern group life (e.g. dominating or altering balances in human rights, equity or power). By virtue of their membership in contesting groups, youths naturally try to make sense of these contests about their primary contexts. Therefore, the degree of clarity youths have relative to the meaning, purposes, legitimacy and potential efficacy of the conflict inform how a young person might process and respond to conflict exposure (Barber, 2008, 2009; Hammack, 2011). Political conflicts vary considerably in the clarity of their purpose and the degree to which there is a meaningful role for youth to play in it. Some wars descend upon a population, with little advance warning or explanation as to the conflict’s logic or goals. Such was the case in Bosnia in the 1990s, for example, where young people were helpless in understanding what was happening around them and have long borne the psychological and social scars of that victimisation (Barber 2009; Jones & Kafetsios, 2005). In other violent struggles, the purpose, legitimacy and goals of a conflict are quite clear to young people, and they also afford much opportunity for youth participation in the struggle for the social good. The Palestinian first intifada of the late 1980s and early 1990s would be one such example, as would, more recently, the 2012 Egyptian revolution (e.g. Barber & Younis, 2012). Beyond these forms of cognitive involvement, many youths engage their contexts behaviourally through a variety of explicit and intentional actions to contribute to the collective struggle their people are engaged in. While classically and vigorously studied by sociologists and political scientists, political activism rarely enters the conventional models from psychology or psychiatry that are employed when studying the impact on young people of political conflict. As noted above, some political conflicts do not offer opportunity for activist engagement, but many do. Indeed, some of the conflicts that have been most frequently studied using conventional models are ones in which youth activism was a vital component of the conflict (but it has gone unmeasured). The best example of this is research on Palestinians. Of literally dozens of studies conducted on Palestinians in the occupied territories that have assessed conflict exposure and its impact, very few have attended to the activism component of youth experience. One study found that political activism on the part of Palestinian youth during the first intifada (e.g. demonstrating and throwing stones) – after accounting for its covariation with exposure – was related to higher levels of positive functioning years after the end of the struggle (e.g. higher levels of civic involvement, empathy, social initiative) (Barber & Olsen, 2009). Those findings are consistent with related work that documents the promotive effects of civic and political engagement, stemming, theoretically, from enhanced identity development, perceived efficacy and potency, agency and the sense of making history (e.g. Flanagan et al., 2007; McAdam, 1988; Yates & Youniss, 1999). In sum, much precision relative to the impact of political conflict on the lives of young people could be gained by elaborating how political conflict is assessed. Such specifications would involve measuring conflict’s impact on access to basic economic, social and political resources, as well as acknowledging the considerable capacity of young people to engage their contexts cognitively and behaviourally. As noted above, the vast majority of studies on the impact of political conflict on youth have focused on negative psychological functioning as the sole or prime indicator of youth well-being, with a small minority of studies indexing problem behaviours as well. Findings from such studies reveal consistent, but often weak, correlations between violence exposure and negative psychological functioning, most commonly, depression, PTSD, etc. (see Barber & Schluterman, 2009, for a review). Some studies incorporate indexes of positive functioning in overall adaptation scores, but such scores are still composed of primarily negative psychological functioning indicators (e.g. Catani et al., 2010). This concentration on individual psychological functioning characteristic of conventional models is problematic from a cultural perspective in a number of ways. One is pathologising stress that is normative in conflict situations (Honwana, 2006), but the core problem is that such a focus decontextualises the individual by forcing an artificial isolation of individual functioning from social functioning. Political conflict (its causes, loci and consequences) is inherently social in nature, and its suffering is interpersonal (e.g. Eggerman & Panter-Brick, 2010; Giacaman et al., 2007; Panter-Brick, 2010). Further, given that conflicts intend to change key political, economic or cultural contexts – and given that young people engage in those contests to varying degrees cognitively and/or behaviourally – a young person’s well-being during and after conflict would be directly tied to the degree to which that contextual change has in fact occurred. Thus, an immediate focus of attention when considering well-being would be the youths’ assessment of the adequacy of the change that conflict has produced in their prevailing contexts. For example, exposure to the adversities of political conflict might very well predict different levels of well-being in a group whose goals have been met, compared to a group who has failed to realise the change it has yearned for, and in some cases, fought and sacrificed much for. Importantly, further, since many conflicts persist or resurface, any determination of overall functioning would need to maintain an assessment of contextual change (Barber, 2010). Emerging findings from interviews with Egyptian youths of the 2011 revolution reveal, for example, that when assessing their own well-being (specifically when explaining their self-reported levels of depression), the immediate standard they use is the degree to which the revolution is succeeding at that moment in time (Youniss et al., 2012). To this extent, recent efforts to identify and substantiate a political dimension in assessments of well-being and quality of life is germane because it acknowledges the power of prevailing political realities in shaping day-to-day life for populations enduring chronic conflict and its related adversities (Barber et al., 2012; Giacaman et al., 2007; Mataria et al., 2008). Relatedly, given that political conflict is often a fight to achieve, preserve or survive a threat to collective identity, it follows also that indexing the integrity and salience of that group identity would be a prime indicator of the impact of political conflict. Depending on the degree of achieved change, that identity integrity could be unchanged, enhanced or weakened. In sum, in order to better capture real effects of political conflict on the functioning of young people exposed to or involved in it, research would do well to expand the focus from the conventional primary attention to psychological functioning to include more holistic and culturally appropriate assessments of well-being. Beyond the issues of identity, civic commitment and political constraints mentioned above, these could include, among others: social relationships and social isolation; socioeconomic conditions, such as employment and education; the on-time achievement of culturally sanctioned statuses such as marriage and having children; and future orientations, particularly regarding conflict and peace (e.g., Cairns et al., 2005; Dawes & Finchilescu, 2002; Hogan, 1978). Given the humanitarian crises that are generated during bursts of intense conflict, it is understandable that assessments of well-being are made during or shortly after conflict ceases. However, since most young people who experience political conflict survive and live into and through adulthood, charting the course of their lives post-conflict (or during renewed conflict) allows for the fuller assessment of if and how experience with political conflict impacts them: that is, whether and how it complicates their forward progress, particularly as they become adults, form families, and participate in the support and governance of their societies. (4) lives are lived interdependently such that individuals are impacted directly and indirectly by the loss of social connections. In his conservation of resources theory, Hobfoll (2001) adapts these classic theories by elaborating on the notion of resources, in that, for example, resource loss is more salient to well-being than resource lack and that resource loss tends to accumulate (i.e. in ‘resource caravans’). - study youth beyond the immediacy of the conflict to identify how their experiences might impact their successful transitions to adult life. The greater precision and specification that such research designs are likely to offer should substantially clarify just which of a cohort of conflict youth might be in need of most assistance, as well as highlighting which types of resources appear most in need of enhancement. Baltes, P.B. (1987). Theoretical propositions of life-span developmental psychology. Developmental Psychology, 23, 611–626. Barber, B.K. (2010). The shifting complex of identity: Issues of individual and contextual change informing the narrative identities of conflict youth: Commentary on Hammack. Human Development, 53, 202–207. Barber, B.K. (2008). Contrasting portraits of war: Youths’ varied experiences with political violence in Bosnia and Palestine. International Journal of Behavioral Development, 32, 294–305. Barber, B.K. (2009). Making sense and no sense of war: Issues of identity and meaning in adolescents’ experiences with political conflict. In B.K. Barber (Ed.) Adolescents and war: How youth deal with political violence (pp.281–311). New York: Oxford University Press. Barber, B.K. & Doty, S.B. (in press). Can a majority be resilient? The questionable utility of the construct of resilience for understanding youth in contexts of political conflict. In C. Fernando & M. Ferrari (Eds.) The handbook on resilience in children of war. New York: Springer. Barber, B.K., McNeely, C. & Spellings, C. (2012). Role of political factors in wellbeing and quality of life during long-term constraints and conflict. The Lancet, 380, S17. Barber, B.K. & Olsen, J.A. (2009). Positive and negative psychosocial functioning after political conflict: Examining adolescents of the first Palestinian Intifada. In B.K. Barber (Ed.) Adolescents and war: How youth deal with political violence (pp.207–237). New York: Oxford University Press. Barber, B.K. & Schluterman, J.M. (2009). Adolescents and political violence. In B.K. Barber (Ed.) 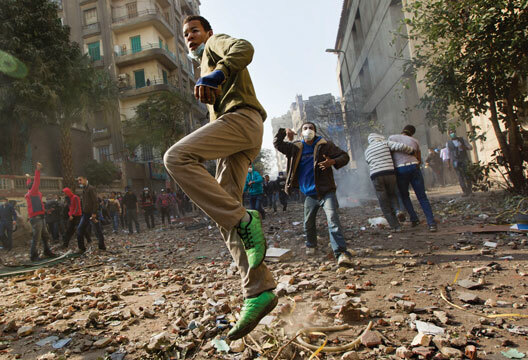 Adolescents and war: How youth deal with political violence (pp.35–61). New York: Oxford University Press. Barber, B.K. & Youniss, J. (2012). Egyptian youth make history. Harvard International Review, 29 November 2012. tinyurl.com/aer8ah5. Cairns, E., Hewstone, M., Niens, U. & Tams, T. (2005). Intergroup forgiveness and intergroup conflict: Northern Ireland, a case study. In E. Worthington (Ed;) Handbook of forgiveness. (pp.461–476). New York: Routledge. Catani, C., Gewirtz, A., Wieling, L. et al. (2010). Tsunami, war, and cumulative risk in the life of Sri Lankan school children. Child Development, 81, 1176–1191. Collin, M. (2007). The time of the rebels: Youth resistance movements in 21st Century revolutions. London: Serpent’s Tail. Dawes, A. & Finchilescu, G. (2002). What’s changed? The racial orientations of South African adolescents during rapid political change. Childhood. London: Sage. Eggerman, M. & Panter-Brick, C. (2010). Suffering, hope, and entrapment: Resilience and cultural values in Afghanistan. Social Science & Medicine, 70, 1–13. Flanagan, C., Syvertsen, A. & Wray-Lake, L. (2007). Youth political activism. In R.K. Silbereisen & R.M. Lerner (Eds.) Approaches to positive youth development (pp.243–256). Thousand Oaks, CA: Sage. Giacaman, R., Mataria, A., Nguyen-Gillham, et al. (2007). Quality of life in the Palestinian context. Health Policy, 81, 68–74. Hammack, P.L. (2011). Narrative and the politics of identity. New York: Oxford University Press. Hobfoll, S.E. (2001). The influence of culture, community, and the nested-self in the stress process. Applied Psychology: An International Review, 50, 337–370. Hogan, D.P. (1978). The variable order of events in the life course. American Sociological Review, 43, 573–586. Honwana, A. (2006). Child soldiers: Community healing and rituals in Mozambique and Angola. In C. Daiute, Z.F. Beyknot, C. Higson-Smith & L. Nucci (Eds.) International perspectives on youth conflict and development (pp.177–192). New York: Oxford University Press. Jones, L. & Kafetsios, K. (2005). Exposure to political violence and psychological well-being in Bosnian adolescents. Clinical Child Psychology and Psychiatry, 10, 157–176. Layne, C.M., Olsen, J.A., Baker, A. et al. (2010). Unpacking trauma exposure risk factors and differential pathways of influence. Child Development, 81, 1053–1076. Mataria, A., Giacaman, R., Stefanini, A. et al. (2008). The quality of life of Palestinians living in chronic conflict. European Journal of Health Economics, 10, 93–101. McAdam, D. (1988). Freedom summer. New York: Oxford University Press. Miller, K.E. & Rasmussen, A. (2010). War exposure, daily stressors, and mental health in conflict and post-conflict settings. Social Science & Medicine, 70, 7–16. Panter-Brick, C. (2010). Conflict, violence, and health: Setting a new interdisciplinary agenda. Social Science & Medicine, 70, 1–6. Punamäki, R.L. (2009). War, military violence, and aggressive development. In B.K. Barber (Ed. ), Adolescents and war (pp.35-61). New York: Oxford University Press. Steel, Z., Chey, T., Silove, D. et al. (2009). Association of torture and other potentially traumatic events with mental health outcomes among populations exposed to mass conflict and displacement. JAMA, 302(5), 537–549. Yates, M. & Youniss, J. (eds). (1999). Roots of civic identity. New York: Cambridge University Press.